A NASA research plane prepares for take-off at Truax Field in Madison, Wisconsin. High levels of the air pollutant ozone still plague a few Wisconsin counties along the Lake Michigan shoreline. Over the past month, a team of scientists has been taking to the sky and water to better map the origin of some of the chemicals that create the harmful ozone in the lower atmosphere . Ozone advisory health alerts aren't as common as they used to be. Cars and industrial smokestacks, two of the longtime sources of pollution that leads to the formation of ozone on sunny days, are generally cleaner. But on June 2 and 11, the Wisconsin Department of Natural Resources announced ozone levels in five counties along Lake Michigan had entered an "orange" category. That meant the air those days was unhealthy for sensitive groups like older adults, children and people with respiratory ailments. It's no surprise to scientist Brad Pierce of the National Oceanic and Atmospheric Administration that ozone remains a concern along the western shore of the lake. He said this time of year, wind often brings cooler air off the water to collide with warmer air over the land. "What that does is it leads to transport of pollutants from along the shore — Chicago, Milwaukee and various point sources along the way. They tend to narrow themselves and converge right along the lakeshore," said Pierce, lead researcher on this year's effort based at the University of Wisconsin-Madison. Pierce said ground monitors show ozone readings right along the lake are higher than just a few miles inland. At least one major study in the 1990s looked into the issue, including whether dirty air from Chicago and Gary, Indiana, was causing most of the pollution concern in Wisconsin. But Pierce believes another look is justified because monitoring technology has improved. He also said various businesses that find it tougher to expand when there's a local ozone problem have asked for more measurements. Some of the readings are being taken miles in the air, including from a turbo-prop plane owned by NASA. The aircraft has made several trips from Truax Field in Madison to the skies over Lake Michigan. A sophisticated instrument on board called Geo-TASO is trying to create a two-dimensional map of plumes of ozone and another chemical, nitrogen dioxide, explained NASA scientist Jay Al-Saadi. "We're trying to find what is the most efficient bang for the buck, really. What types of emissions are contributing to poor air quality in particular areas, and under what conditions?" Al-Saadi said. Another plane based at Sheboygan is flying closer to the ground and taking other measurements. The ozone study also makes use of a NOAA research boat that's been taking U.S. Environmental Protection Agency scientists up and down the lake. Holes in the mast allow in air that goes to computers below deck for analyzing, and EPA researcher David Williams said there's a pattern. "In the morning, you'll see higher numbers of the nitrogen compound, and then the ozone starts forming and converts that nitrogen compound into ozone, so we get higher ozone measurements in the afternoon," he said. "Typically, we'll go out early afternoon to late afternoon and capture that conversion." 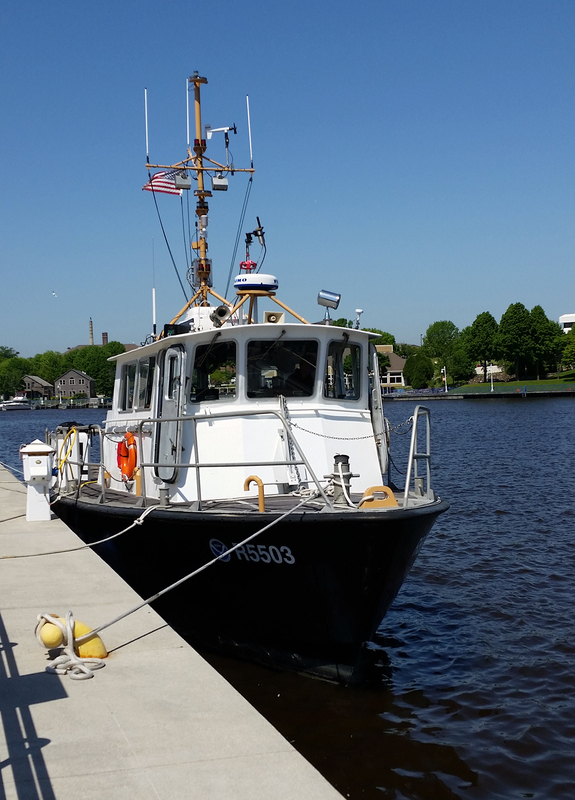 Williams added other equipment on the boat helps track the movement of air pollution from cities like Chicago and Milwaukee to northeastern Wisconsin. 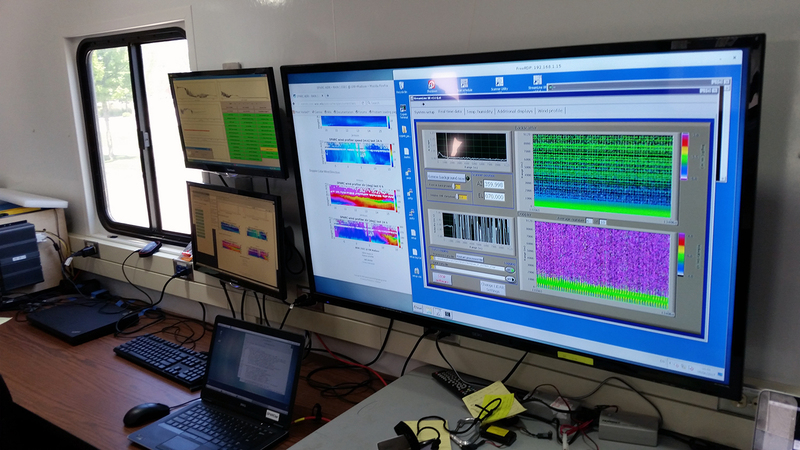 Meanwhile in Sheboygan, UW-Madison Space Science and Engineering Center researcher Tim Wagner has spent a lot of the last month in a trailer filled with a bank of computer screens and instruments that measure wind, temperature and air particles. He's looking at how the conditions might affect the pollutants. "With that observation and information, we can use that to create better models to better forecast when the bad air days are going to be. We can narrow down where we need to do better pollution control, " Wagner said. The ozone research project comes as President Donald Trump's EPA has given states another year to comply with tougher ozone limits approved by former President Barack Obama. The scientists emphasize they're not policy-makers, and any decisions about whether their findings will lead to changes in ozone laws is up to politicians and agency administrators.